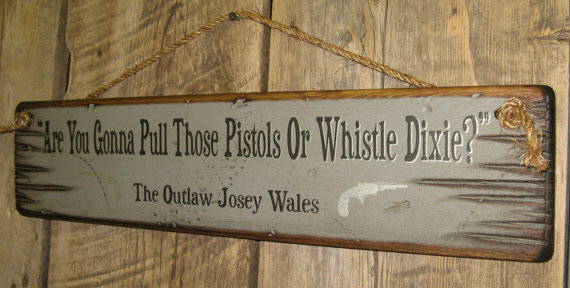 Are You Gonna Pull Those Pistols Or Whistle Dixie, The Outlaw Josey Wales. What a great line out of a great movie! This grey background sign measures 5.5x24 and comes with the grass rope hanger for easy hanging. Handcrafted with pride!